This is one of the most famous examples of the Vauxhall Firenza in existence, if not the most famous outright. Nicknamed “Old Nail” this is the car that was driven by iconic British driver Gerry Marshall to the Forward Trust Special Saloon Car Championship win 1972 and 1973, the Simoniz Saloon Car Championship in 1974, and with Bill Dryden driving to the Scottish Saloon Car Championship in 1975 (all in the over 1300cc class). 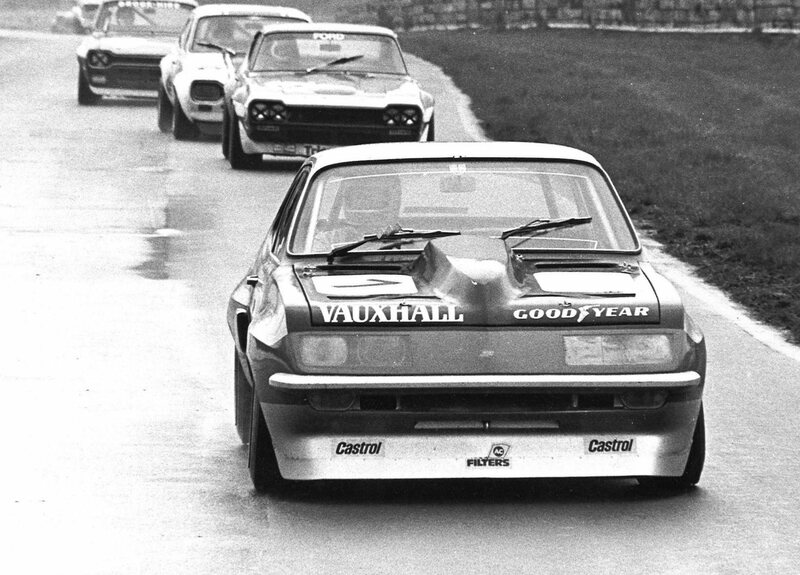 Gerry Marshall enjoyed a 40 year career as a racing driver, he became the most successful driver in British motorsports history taking over 600 wins and a slew of championships driving everything from saloon cars, to rally cars, to historic Formula 1. Marshall’s driving style was hugely popular with spectators due to his on-the-ragged-edge approach to cornering, often hanging the tail out but doing so with scalpel-like precision. Vauxhall introduced the Firezena in 1971, it was a development of the Vauxhall Viva platform with a fastback body style, two doors, and a range of inline-4 cylinder engines from 1159cc up to 2279cc in capacity. 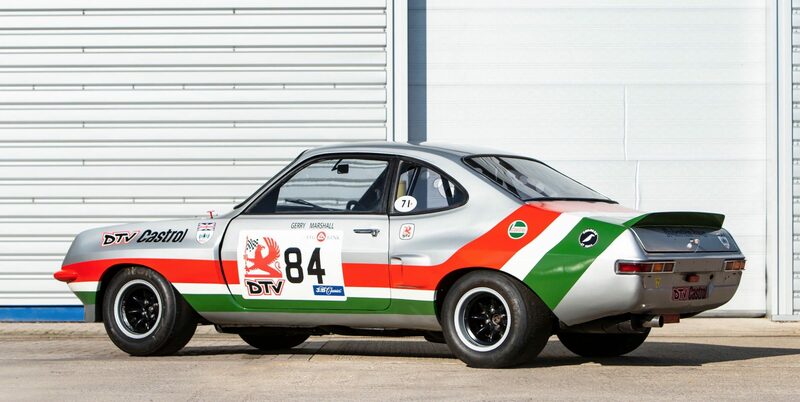 General Motors offered the same car in South Africa as the Chevrolet Firenza, and there was a local factory established to fill demand. 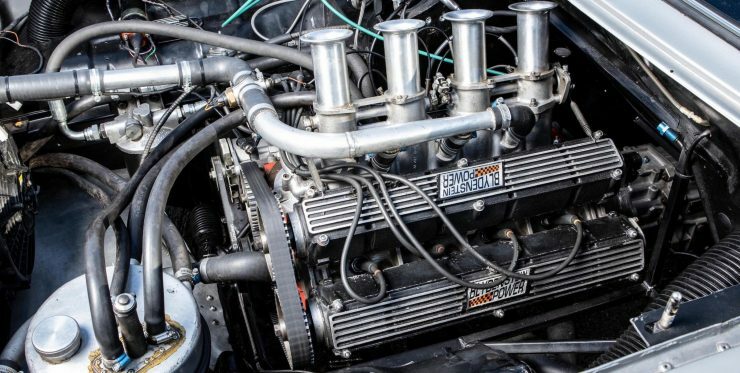 The Firezena has a steel unibody shell with double wishbones and coils up front, and a live axle with trailing arms and coils in the rear. 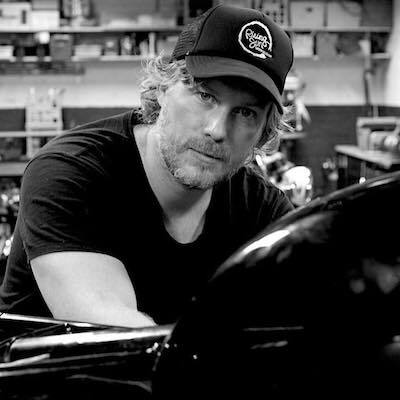 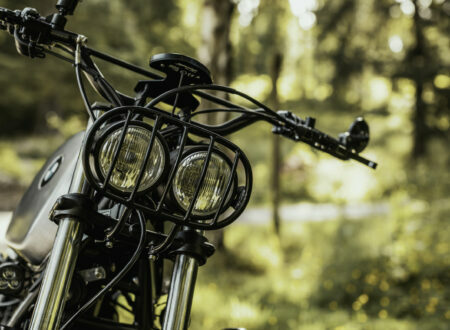 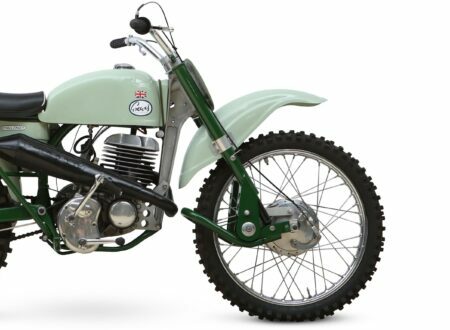 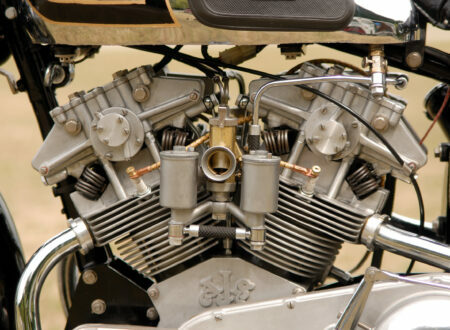 Both overhead valve and overhead cam variants were offered, with the top of the line being the overhead cam 2279cc inline-4 that was famous for its broad torque curve. 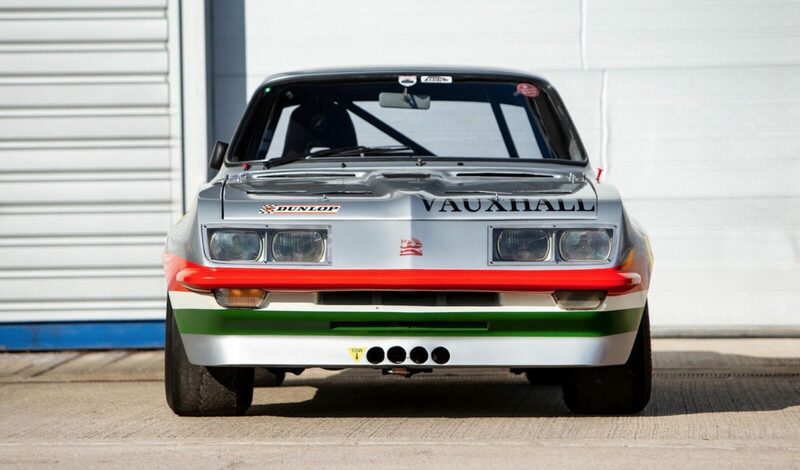 Of all the Vauxhall Firenza variants the most famous and best loved is the Droopsnoot, or as it was officially known, the High Performance (HP). The model was developed as an attempt to reinvigorate the somewhat dull model range on offer from Vauxhall, it’s characterised by an aerodynamic nose moulded from GRP with two Renault Alpine-influenced Cibié headlights behind toughened glass covers. 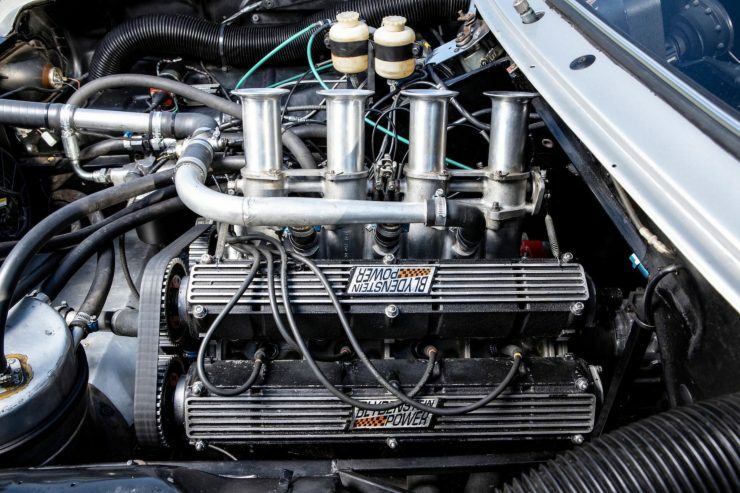 The engine used in the Firezena Droopsnoot was a high performance version of the 2.3 litre inline-4 using a series of parts developed by Blydenstein Racing, producing 131 bhp thanks to twin 175 Stromberg carburettors, a high-lift camshaft, and tubular exhaust manifold. 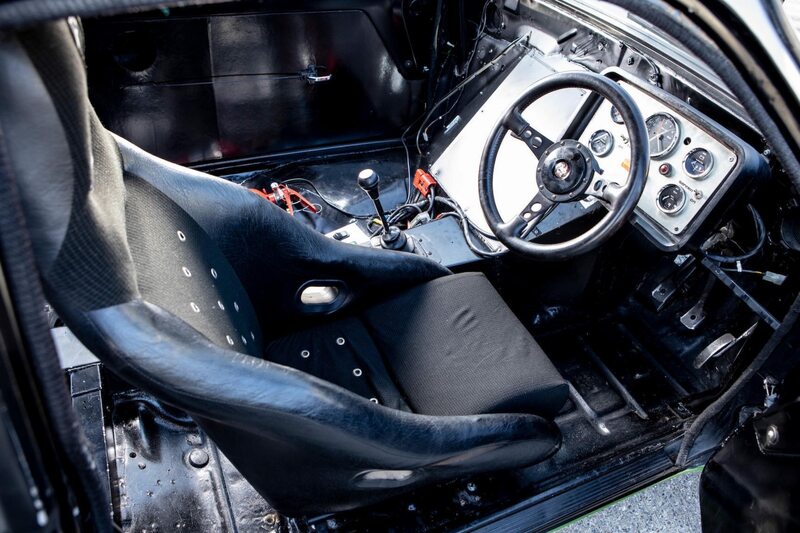 A a 5-speed ZF dog leg gearbox was fitted along with upgraded and lowered suspension. 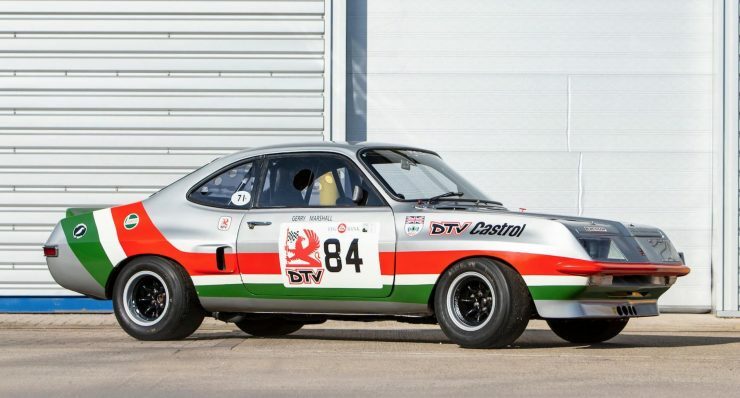 Although the Firenza was a marketing success for Vauxhall it was a sales failure, just a little over 200 were made, initial projections had called for sales figures closer to 30,000. 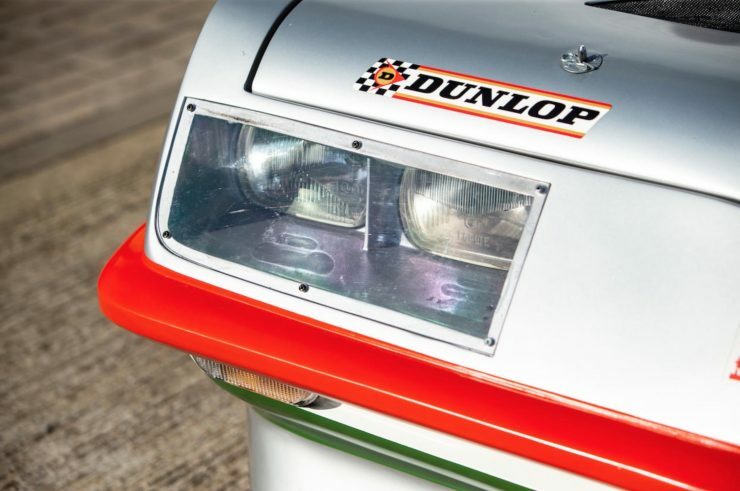 The surviving examples of the Firenza Droopsnoot are now hugely collectible, and the car shown here is undoubtably the most famous of them all. 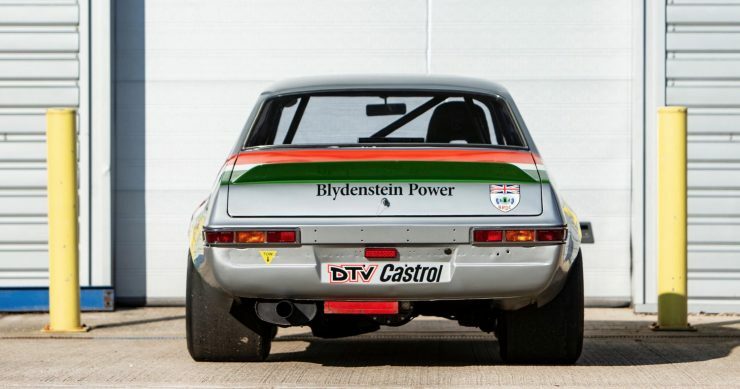 “Old Nail” was developed by Dealer Team Vauxhall (DTV) to replace the Viva GT, Vauxhall tuning specialist William ‘Bill’ Blydenstein managed to squeeze 265 bhp out of the inline-4, in part thanks to new 2.6 litre long-stroke internals. 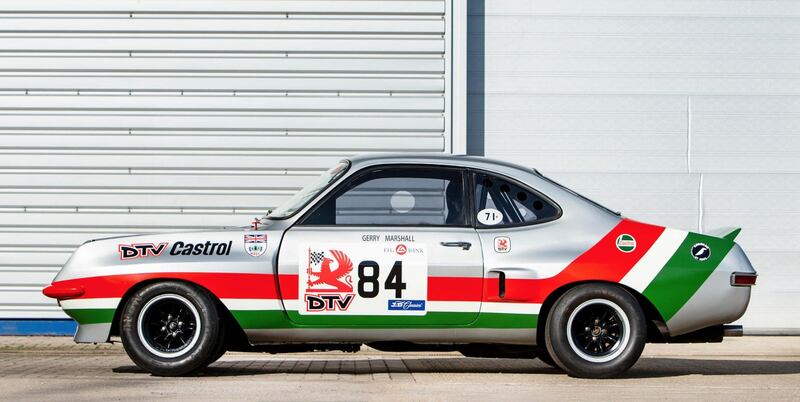 Between September 1971 and February 1978 this car would take 59 overall victories and four class wins. 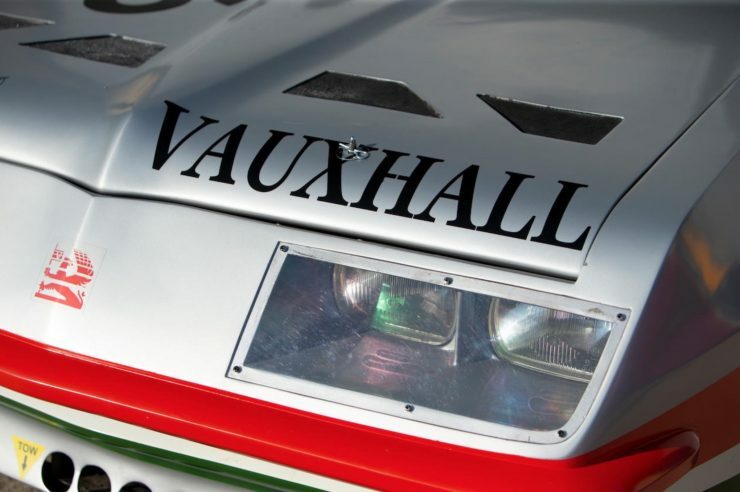 Upon its retirement Dealer Team Vauxhall would gift Old Nail to Gerry by way of thanks for this remarkable efforts driving the car, Gerry treasured the car and kept it up until his passing in 2005. 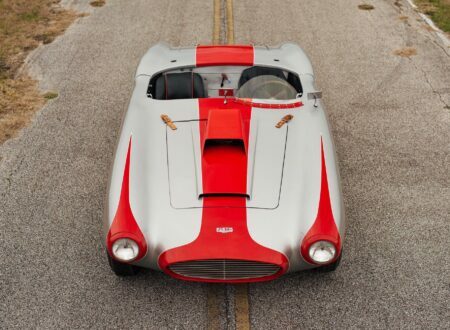 In 2011 the Marshall family offered the car for sale at the Bonhams’ Goodwood Festival of Speed auction, since then it’s been re-commissioned and restored to racing capability by Coopersport. 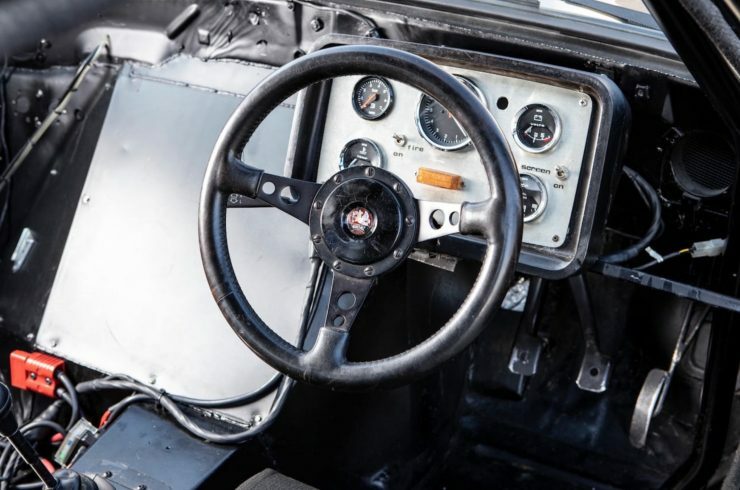 Since its restoration the car has been run three times: at the Donington Historic Festival, at the Goodwood Festival of Speed, and at Silverstone in a CSCC Special Saloons and Modsports event where it won its class. 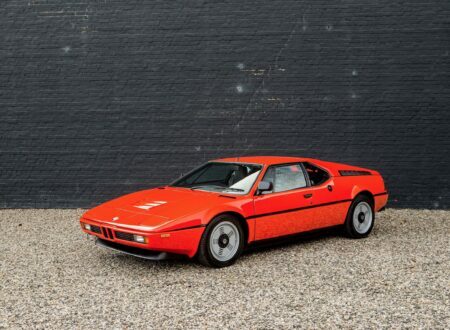 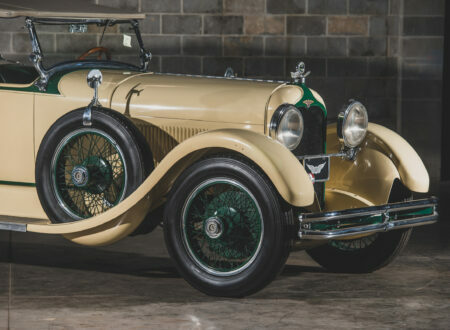 The car is now scheduled to cross the block with Bonhams at the Goodwood Members’ Meeting on the 7th of April, the estimated hammer price is £90,000 to £130,000 and you can click here to visit the listing.